The Be Finally Free Ministry held the second annual Light A Candle for a Loved One at the Park at Riverwalk on Jan. 24. The ministry reaches out to those in the community who are affected by drug addiction or alcoholism. 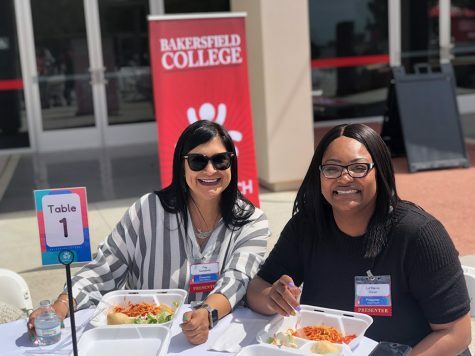 This year’s event had different booths set up to offer referral information to those who wanted help in overcoming addiction for themselves or for a loved one. One woman who was passing out brochures for Kern Behavioral Health and Recovery Services was a recovering drug addict and has been clean for several months. Debbie Ormonde, the founder of Be Finally Free Ministry and event organizer, explained that a popular station from last year, The Balloon Station, returned this year. The participants would write a message on a piece of paper, tie it to a balloon and release it into the air in a symbolic way of letting go of something or someone who has hurt them. That thing or person has now been released and has no more power in their life. Although the Light a Candle for a Loved One event was sponsored by a Christian ministry, people of different faiths were in attendance. Everyone stood side by side encouraging each other by celebrating the victories won and remembering those loved ones lost to this widespread epidemic of drug abuse and alcoholism. 1. 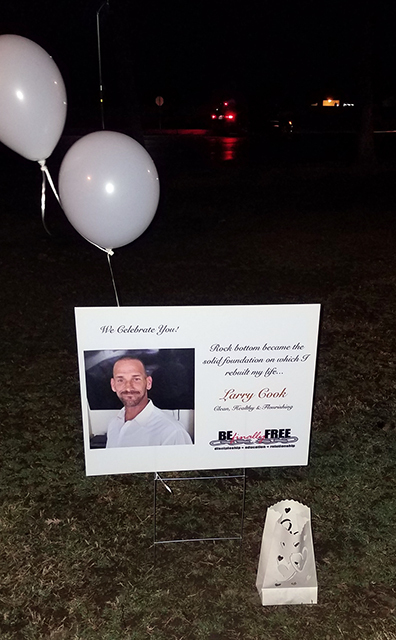 A sign of Larry Cook at River Walk Park for Light a Candle for a Loved One on Jan. 24. 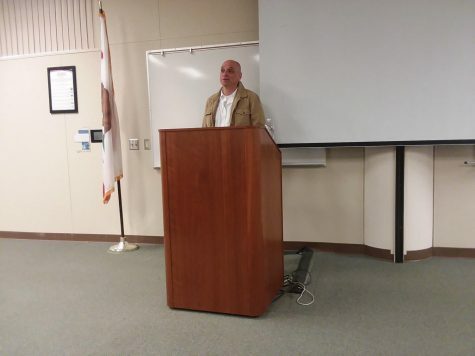 There were two guest speakers featured: Nikki Linenberger, who shared her story about losing a brother at the age of 25 to alcohol poising, and Mitch Green, a former Bakersfield firefighter who was recently released from prison after serving a seven-year prison sentence. Green was charged with vehicular manslaughter for a fatality he caused while driving drunk. After the speakers were finished, everyone walked around the park at their own pace stopping along the way to read the many signs strategically placed throughout the park.